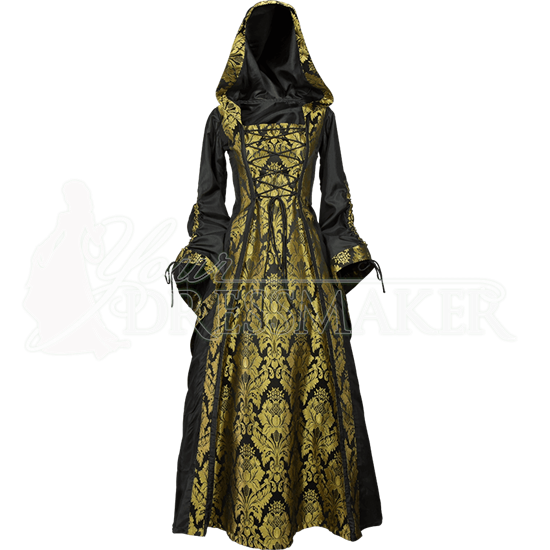 The Black with Gold Alluring Damsel Dress with Hood is perfect for any medieval, Renaissance, or fantasy occasion. Made of smooth black taffeta and ornate brocade, this hooded Renaissance gown has an aura of decadence and mystery. 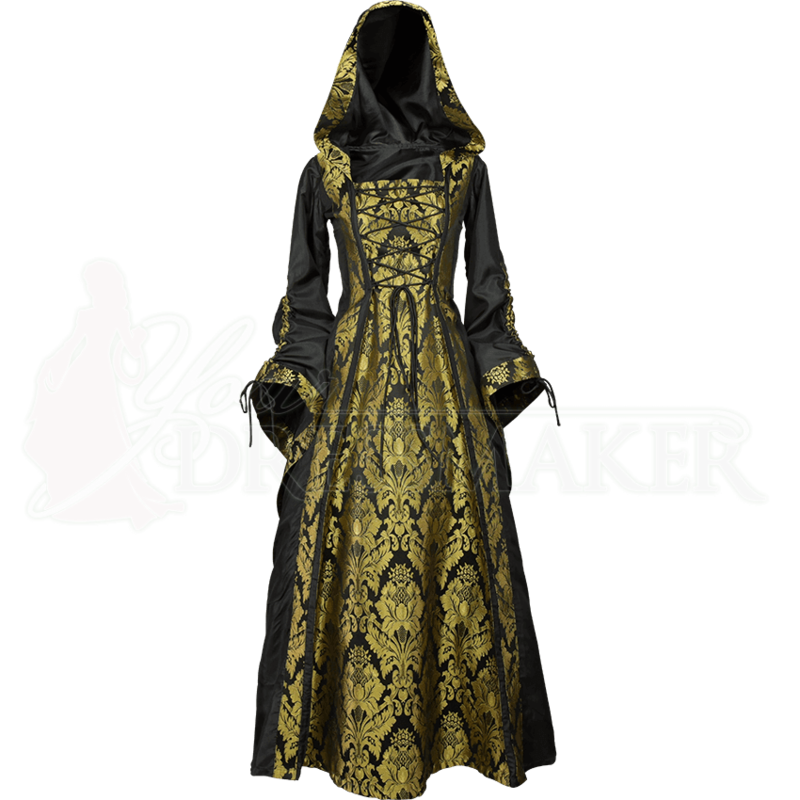 The front panel, trim of the sleeves, and edge of the hood feature the gold and black damask-patterned brocade. The roomy hood ends in a point, and the long, dramatically flared sleeves can be cinched up or worn down, thanks to integrated drawstring. Adjustable lacing over the brocade front accent panel and at the back of this medieval fantasy dress allows for the perfect fit. Available in a variety of sizes, this medieval maiden gown is a phenomenal choice for Renaissance fairs, reenactment events, costume balls, and more .